To be a minister for sixty-two years is an accomplishment, but to serve one flock for over six decades is remarkable. During his ministry that spanned beyond three generations, Rev. John McElhenney would have baptized not only children, but also their children, grandchildren, and possibly even their great grandchildren. As those young ones matured he would have catechized them, enjoyed their becoming communicant members, united them in marriage, and performed the last ministry a shepherd can do, their funerals. He pastored his flock through the distressing years when West Virginia separated from Virginia during the Civil War. There were those in his congregation that were affected by the tragedy of war because they supported the war, enlisted for service, fought, and died. 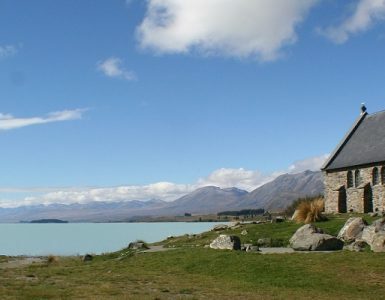 What an experience it must have been for the well-worn shepherd to look out over his flock in his last years and think of all that had gone before, both the good times and those that were not so good, as he contemplated God’s gracious work over the years. John was born in Waxhaws, Lancaster District, South Carolina, March 22, 1781. He was the youngest of six children born to John and Ann (Coil) McElhenney. He entered Washington Academy in Lexington, Virginia, 1802, where he graduated and continued to reside during his preparation for the ministry under the tutelage of George Addison Baxter. Dr. Baxter was a graduate of Liberty Hall Academy who had studied theology with the Princeton College graduate and Shenandoah Valley Presbyterian pioneer minister and educator, William Graham. Lexington Presbytery licensed McElhenney to preach on February 11, 1808, and then sent him to minister the Word to remote congregations in the near-by mountains. As he travelled he moved further into the rugged terrain of the Alleghenies preaching as he went. His journey brought him to a view of the meandering Greenbrier River and the near-by village of Lewisburg where he would minister the Word. On Sunday, June 5, 1808, Licentiate McElhenney delivered his first sermon to the congregation in its building called the Old Stone Church. The impressive and lovely structure had been built in 1796 and is still used today. Satisfied with his ministry opportunity serving the Lewisburg flock, Licentiate McElhenney returned to Lexington for ordination. The service was held April 23, 1809, in Brown’s Meeting House (Hebron Church) near Staunton. The following summer, the new minister was installed by a commission that included his theological mentor, George A. Baxter. John McElhenney was also a churchman, though his participation in general assembly meetings was limited. When he moved to Lewisburg there were about 40 to 50 members distributed among his congregations in the churches of Old Stone, Union, and Spring Creek of Lexington Presbytery. From 1808 to 1834, he served both Old Stone and Union while occasionally supplying Spring Creek. As Old Stone Church grew over the years to over three-hundred members, his supply of other pulpits lessened. With the division of the Presbyterian Church in the United States of America (PCUSA) in 1837, he continued his ministry with the newly formed Old School Presbytery of Greenbrier which had been established in western Virginia with fourteen churches from Lexington Presbytery. Rev. McElhenney delivered the sermon in the organizational service for the new presbytery using a portion of Psalm 20:5, “In the name of our God we will set up our banners.” He was the moderator of Lexington Presbytery meetings at Staunton, April 27, 1820 and then in Salem, October 17, 1833, and he was a commissioner to the 1831 General Assembly in Philadelphia. Along with his pastoral duties, Rev. McElhenney started an academy in which he was a teacher and/or principal for the first twenty years, and then continued his involvement as a member of the board until 1860. One of his more prominent students was William Swan Plumer, who was the subject of an earlier Presbyterians of the Past biography. Plumer was about nineteen years of age when he walked from Charleston, West Virginia, the roughly one hundred rugged miles to Lewisburg to attend the academy. His age earned him the nickname of “Daddy” because the other students were a bit younger. In later years, “Daddy” would become Dr. Plumer and he would often return to fill the pulpit of the Lewisburg Church during his summer vacations in nearby White Sulfur Springs. The two maintained contact throughout the years with Dr. Plumer sending first copies of his newly published works to Dr. McElhenney; the most cherished volume was, according to Rose W. Fry, a copy of his commentary on the book of Psalms. When the Civil War began in 1861, the minutes of the General Assemblies show that the Old Stone Church continued with the PCUSA. The PCUSA and Presbyterian Church in the Confederate States of America (PCCSA) each had a presbytery named “Greenbrier” during the war. 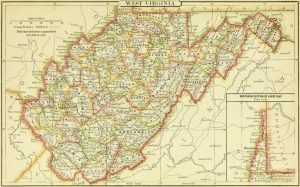 It appears that when West Virginia was established as a Union state on June 20, 1863, it prompted the Lewisburg congregation and most of the West Virginia churches to change their connectional association from the PCUSA to the PCCSA. Following the war, the PCCSA changed its name to Presbyterian Church in the United States (PCUS), and Dr. McElhenney continued with the denomination for the remainder of his life. As his last few years passed, Dr. McElhenney enjoyed them as a respected minister, citizen, and friend. 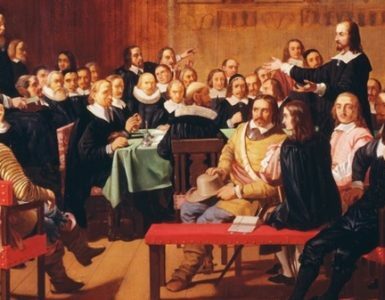 He could look around him, travel in any direction in West Virginia, and find churches and individuals he had influenced and assisted as the father of West Virginia Presbyterianism. Alfred Nevin’s, Encyclopedia of the Presbyterian Church, has commented regarding Dr. McElhenney. [He] was tall, straight, and graceful in all his movements. His line gray eye told of the brightness of his mind, and nothing escaped its observation. His voice was very pleasant, always reaching the ears of his audience. He sometimes wrote his sermons, but never took a note into the pulpit. His delivery was rapid, but clear and simple. He said as much in fifteen minutes as most men would have done in double the time. Dr. McElhenney exerted a most extensive and happy influence. In the region of his active and useful labors, now well filled with an Industrious God-fearing people, his name is fragrant with precious memories. Rev. John McElhenney, D. D., died, January 2, 1871. He is buried in the Old Stone Church cemetery. When his wife of sixty-three years, Rebecca Walkup of Lexington, Virginia, died on December 7, 1876, she was buried next to him. Between the years 1809 and 1819, the two were blessed with the birth of three sons—James Addison, and his twin brothers, John Franklin and Samuel Washington— along with three daughters—Elizabeth Ann, Mary Jane, and Susan Emily. Sources—along with the usual Presbyterian biographical and historical reference resources, the information regarding McElhenney’s moderating Lexington Presbytery was located in the table of meetings compiled in Howard M. Wilson’s, The Lexington Presbytery Heritage, 1971. Biographical information about Dr. McElhenney was found in Recollections of the Rev. John McElhenney, D.D., by the subject’s granddaughter, Rose W. Fry, and in J. R. Cole’s, History of Greenbrier County. 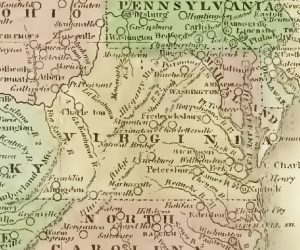 The map of circa 1829 Virginia is from Olney’s School Atlas, New York, 1829, and the map of West Virginia after its separation from Virgina during the Civil War is from Appleton’s Atlas of the United States, New York, 1888, both in digital form. The historical development of what is now Washington and Lee University was found at a university web site dedicated to archaeological work on the old campus, http://archaeology.wlu.edu/libhall.html, which notes that the name was changed from Liberty Hall Academy to Washington Academy in 1797. Notes—Rev. 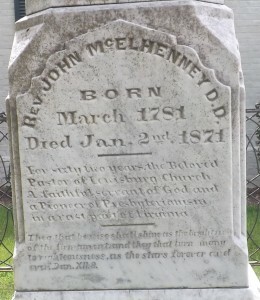 McElhenney’s name is also spelled McElhenny and McElheny in other sources, but the spelling on the grave marker has been adopted which is also the version used in McElhenney’s biography by his granddaughter. 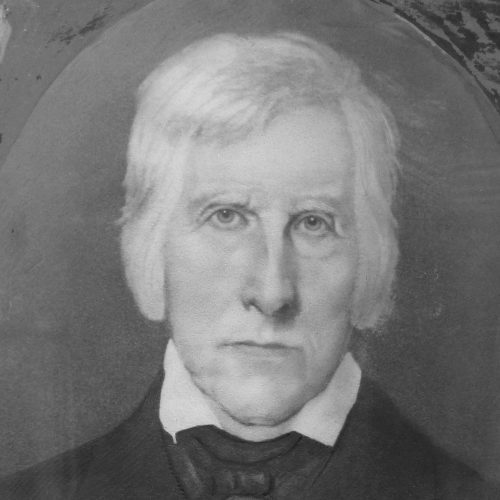 Stuart Robinson, who went on to labor in the Bluegrass State, was licensed and ordained by Greenbrier Presbytery in 1841. 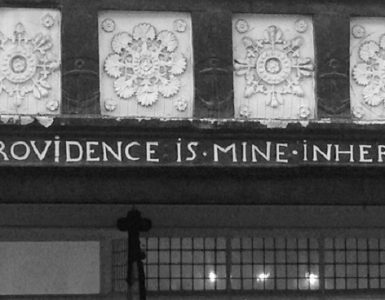 For an article about Stuart Robinson’s lawsuits, click HERE; and for the text of his lecture titled, “The Churchliness of Calvinism,” click HERE. George A. Baxter went on in 1831 to be the president of Union Seminary in Farmville. According to Google Maps, it would take 34 to 35 hours to walk from Charleston to Lewisburg, West Virginia, along the most direct route, so young Plumer was a fit man. For a explanation of the terms “Old School” and “New School,” click HERE. in a vast part of Virginia. I was baptized as an infant in the Old Stone Presbyterian Church, PCUS and my family roots go all the way back to the founding of that congregation. I have spent many, many days in the graveyard of that church. When I was younger and my grandaddy was still alive when we visited I would often help him cut the grass and do basic maintenance. Dr. McElhenney’s grave was one that was always pointed out to me by my grandaddy and he mentioned that he was a man to emulate. Thanks for this article as it brought back a lot of wonderful memories. I was moved to write about my home state here for your own reading. Again thank you to Barry Waugh for writing of something so dear and near to my heart. Thank you for your kind comments. I found Pastor McElhenney to be an interesting and devoted Presbyterian preacher of the gospel of salvation and founding father of the denomination in West Virginia. I think his work is worthy of more study. I am glad that my biography brought back fond memories for you.